Funds allocated for two years within a twin project. The European Union has moved to allocate 1.3m euros for expert assistance in the reform of the State Border Service of Ukraine, the first deputy chairman of the Border Service Vasyl Servatyuk said on 20 September. He said the twining project between the EU and the State Border Service provides for daily advice of European experts with the Ukrainian border guards in developing a legal framework and new integrated management strategy of the national border. In addition, a new technology will be introduced to identify stolen vehicles that provides for the connection to the State Border Service to the databases of Interior Ministry and Interpol. 1.3m euros will be allocated for the 24 months, but new technologies and expert assistance are more important than immediate financial assistance, added Servatyuk. In July 2015, the State Border Service started reforms along lines of the National Police reform. 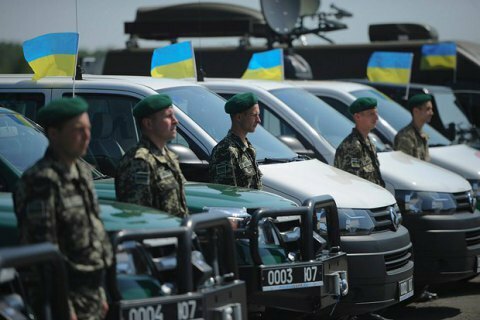 The salaries of border guards, in particular, have increased to the level of those of the military - 7 thousand hryvnia.